I’ve been doing this affiliate marketing stuff for about 4 years now. And in that time I’ve seen a lot of people come and go. And their stories are usually the same. They start off by reading an eBook or some other product and for the first few weeks, they’re really keen about making sure they succeed at generating a decent income online. They realize that success doesn’t happen overnight and that it’s not as easy as the hyped up eBook made it out to be. At this point two things can happen. 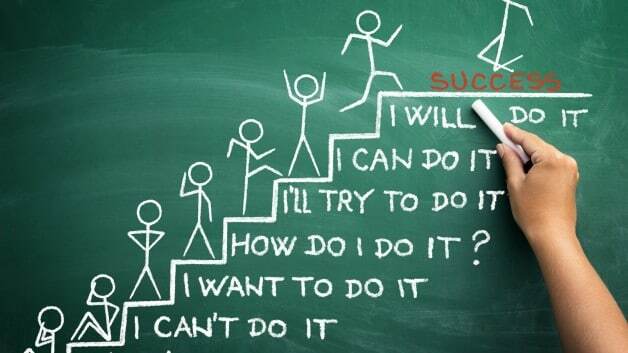 Most people decide that they really don’t want online success all that badly. Sure, it would be cool if it happened, but it probably won’t and I’m probably not the guy to make it happen. That’s what’s going on in their heads. So it’s no surprise that these people rarely hit their goals. I’ve met a lot of these people over the years. People who sound serious about affiliate marketing, but never get anywhere. It’s kinda sad, but most people are like this. And if you’re currently one of these people and want to change, then there are things you can do. Above I mentioned that two things can happen once people hit a rough spot. The second thing people can do is keep on going. Know that success is up the road some way. Don’t put yourself under too much pressure. I’m sure we’ve all said “By next week, I’m going to make $5000.” And while I’m all for positive thinking, I don’t think setting goals like that is a great idea, because chances are you’ll fail and you’ll feel even worse about your situation. I once read a book that told the story of some American POWs during the Vietnam war. It went on to say that the ones who survived weren’t the ones saying “Don’t worry boys, we’ll be out of here by Christmas”. Once Christmas arrived, the people who were saying that often got so disappointed that they gave up the will to live. And that’s the attitude you have to have here. Keep plugging away with your affiliate marketing, because if you do that, you’ll get there eventually. Now, there are a few things you can do to make sure you get there quicker. There are a few things you can do that will really increase your chances of success and make sure that it happens sooner rather than later. And the two things I’m talking about in this post are two things I’ve used myself to accelerate my success. Let’s cover the first point first. 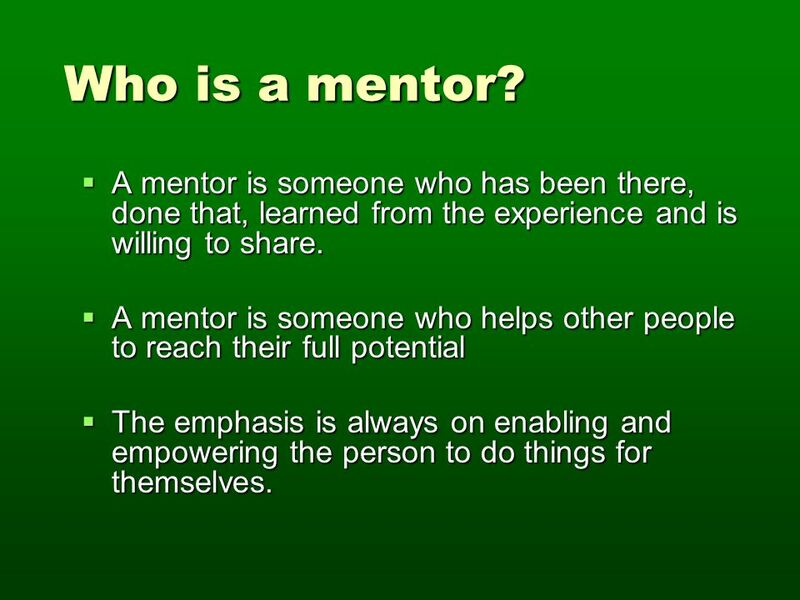 Having a mentor is something that’s made a huge impact in my life. Before I got one, I floundered around a lot. I’d try this, I’d try that and more often than not I just ended up going in circles. But once I found a mentor, I became a lot more focused and I really started working towards something solid. And as well as the actual advice I was given, I think the biggest thing I got was hope. Being able to speak with someone who’d been there and done that gave me hope that I’d be able to do it too. And once I started seeing results, my self belief grew stronger and stronger (and still does). Finding a good mentor isn’t always easy. Most people who are good at something are too busy to spend their lives helping others do the same thing. So if you can find someone who’s willing to take you on and help you out, look after them. Also, beware of the parrots. 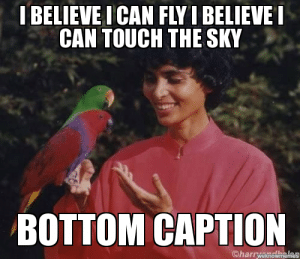 Parrots are people who don’t really walk the talk, they just talk the talk. Parrots are everywhere in the internet marketing world. You’ll find them on forums and Facebook Groups, giving out information, even though they’ve never made a sale in their lives. And while these people have to make a living, they’re not the people I want to learn from. Also, immersing yourself in the world of internet marketing is going to make your journey a lot easier. When you’re thinking about it all the time, it’s hard not to make a success of yourself. Find a good forum that’s full of people who can help you achieve your goals. Constantly read more books, listen to audio programs, chat to people on instant messenger about this stuff. If you can do these two things, you’ll virtually guarantee your success. And I kept them in mind when I was thinking up the Affilirator Mastermind Program. I’ll be reopening membership registration in a few days and then I’ll send all current guys in the early bird list a special sign up link that will give them a big discount. (Join the waiting list here). Mastermind members will be able to both have me as a mentor as well as be able to fully immerse themselves in affiliate marketing. You’ll be able to ask me questions within the members forum and I’ll be able to look over your sites and tell you what needs to be fixed. I enjoy doing stuff like this, so I can’t wait to get it up and start getting to know you. The mechanics of affiliate marketing aren’t all that hard. It’s the other stuff that really stops people from achieving what they want. And one of the things I’ve found to be very true over the past couple of years is that you are who you surround yourself with. Take a look at your current situation. Think about the five people in your life that influence you the most and compare their situations to yours. Chances are you have a lot in common. I can’t remember who said it (I think it was Jim Rohn) but there’s a quote that says if you want to find out about someone, just look at the people they surround themselves with. And this is one area where people go wrong when they’re trying to make some money with affiliate marketing. Just about all of us come from non business backgrounds. And most of us don’t grow up surrounded by rich people. If you’re anything like me, you had to put up with family and friends telling you that you’re crazy for wanting to give this a shot. When I got started, I didn’t even tell my friends what I was doing. I’d just resigned from my job and told them all I was just sitting around the house watching TV. A couple of friends got really worried about me thinking I was going to be a couch potato forever. So they were a little surprised when I bought a car and turned up at their places a few months later. It’s not their fault and they’re just trying to protect you from getting scammed or getting your heart broken when you “inevitably” fail. It’s just them putting their reality onto you. So don’t get angry at them, just accept it and keep plugging away at what you’re doing. But it does come to a point when you have to decide who you’re going to be and what you need to do to get there. And one of the things you might want to do is to spend less time with people who are dragging you down and more time with people who will pull you up. I’m not saying that you should ostracize your friends and family for good. I don’t think that would be a smart move to make. But what I do recommend is weaning yourself off the negative influences in your life. If there’s a friend who always makes fun of you for wanting to do this, just stop hanging around them so much. This happened to me a couple of years ago. I went away with a few old friends for a boys weekend. The first night we went out to dinner and during the meal a couple of the guys joked that it would be funny to run out of the restaurant without paying. I didn’t really think that would be funny, but since I thought they were just joking, I didn’t say anything. We finished our meals and the other three guys headed straight for the door. I walked up to the register and paid for the lot. When I got back in the car, the other guys made fun of me. Now, if those guys want to do that with their lives, that’s fine with me. But it’s not how I want to live, so I ended up going home early that weekend and I don’t really see those guys much these days. Do you have any friends who you’d be better off without? Now, you can’t just go close yourself off to the world if you’re without friends that are good role models and positive influences on your life. You’d go crazy if you did that (at least I would). What you need to do instead is find a new bunch of people to hang around with. Find people you want to be like and hang around with them. Napoleon Hill called this the Mastermind principle in his famous book “Think and Grow Rich”. But whatever you call it, it’s a good idea. There’s no magic involved, there’s nothing woo woo about it. It’s common sense really. When you start hanging around people who are successful at what you want to do (in this case internet marketing), then your conversations will naturally turn to that topic. A lot of my good friends these days are internet marketers, purely because that’s the world I’m in. I spend a lot of time working on this stuff and it’s good to have other people to share my experiences with as well as learn from theirs. That’s one of the reasons I have created the Affilirator Mastermind program. While the extra content and tools will be cool, I think the most useful thing will be the forum. Not only will I be in there posting stuff every day and answering questions as they arise, but you’ll also get to meet other serious affiliate marketers. So instead of hearing “you’re dreaming, get a real job and stop this internet rubbish” when you mention internet marketing, you’ll be able to find people to have a real discussion with. Anyway, the Affilirator Mastermind shouldn’t be too far away from reopening. I know I’ve been saying this for a while, but I keep thinking of things to add. As I type this, we’ve only gotta put the finishing touches on it and we’ll be able to reopen the gates. I can’t wait. Also, let me know if you’ve had any situations like mine where you’ve had to stop hanging around with certain people as much as you used to. Some of my friends are skeptical they don’t believe in making money online. And explaining the whole Internet marketing process is an uphill task. So, I decided to inform the very few who think outside the box. The thing is, even though a mentor helps a lot, your loved ones give you that one-on-one support during your bad days. Quite insightful and real. Thanks for the piece.